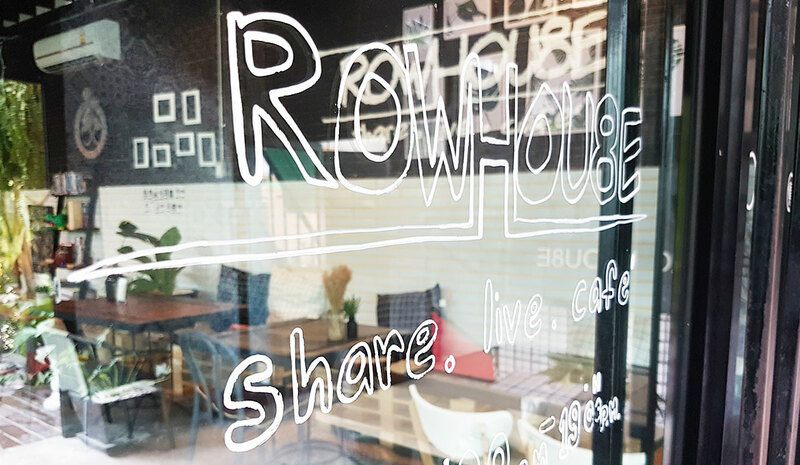 Awesome co-working spot, OK coffee, good selection of food, and great ambiance…actually AWESOME ambiance! 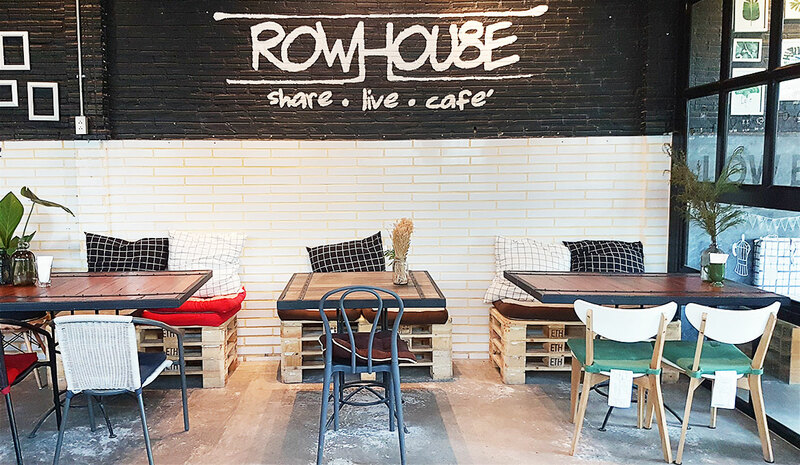 I actually came by the Rowhouse / row hou8e cafe on my first stay in Hua Hin, but it was called something different and looked a lot different too! 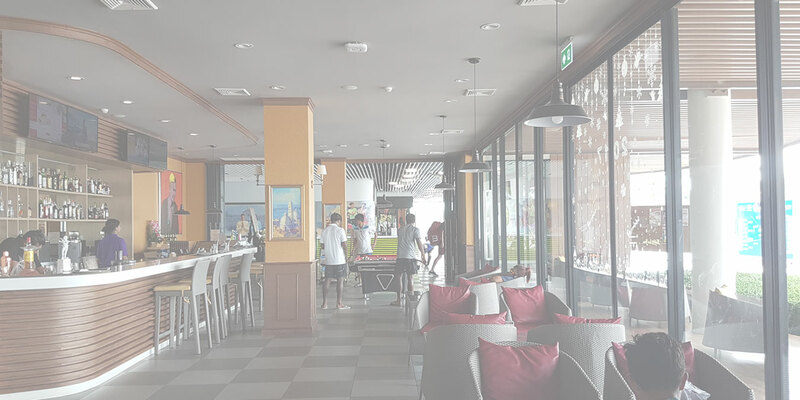 I was actually put back onto these guys by Foodbook (a food magazine group in Hua Hin) who organised a meeting here. I looked up the address and found it very familiar, and upon arriving – I figured out why – it was the same place I visited a couple of years back but under a different name! So here I was, back again, checking out another “to visit list” cafe without evening knowing it! I’m a big person on entrances – whether it be a house, cafe, restaurant, bar….it either welcomes people or not, and often tells you a lot about the people who live there or own the place (unless it’s the cake and confectionery house in Hansel and Gretel!). 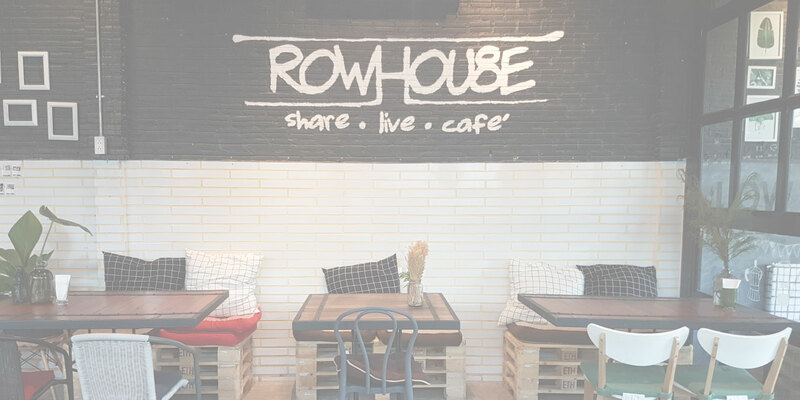 Whether it be the door, the front garden, the building…it all has a big impact on the “come eat here/drink here” impression we get when searching the streets for a good breakfast, lunch, coffee (or dinner…sshhhh). 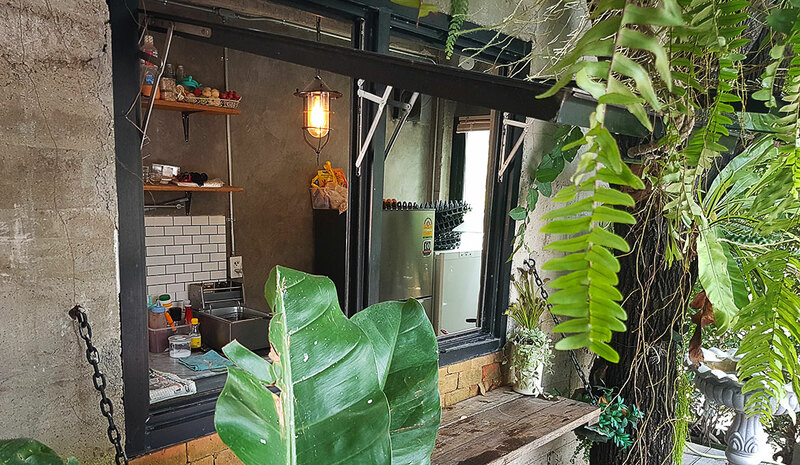 I loved this place from the first step up to the entrance…I was welcomed with a cute little outdoor garden area, water feature and outdoor type bar/takeaway window – I was drawn in – I LOVED IT! 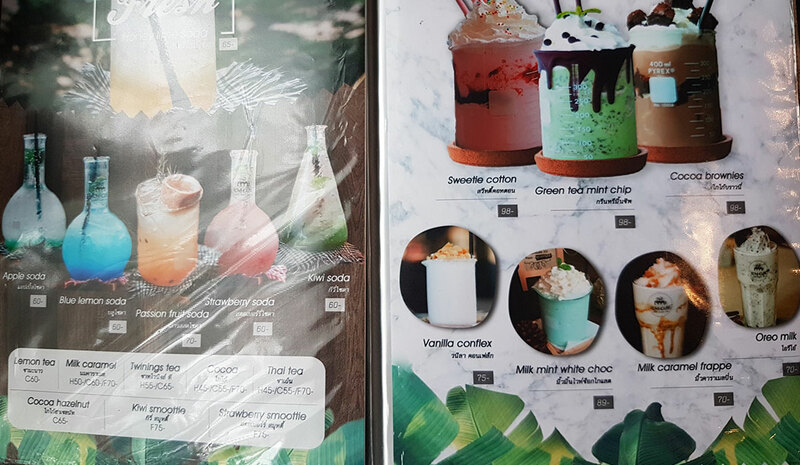 After passing the garden area and turning left towards the cafe, there was a another little outdoor section with one large long table and two other smaller tables capable of seating a total of approx. 15 people – it seemed like a real communal and social type area. I didn’t even need to go inside at this stage, I was sold just on the design/architecture/ambiance of this place! It actually wasn’t such a hot day but I still wanted a more accommodating (and perhaps private) space with air conditioning as I had planned to spend a good amount of time here to get some things done on my notebook – so I headed in there (I had to anyway to order my coffee I guess). 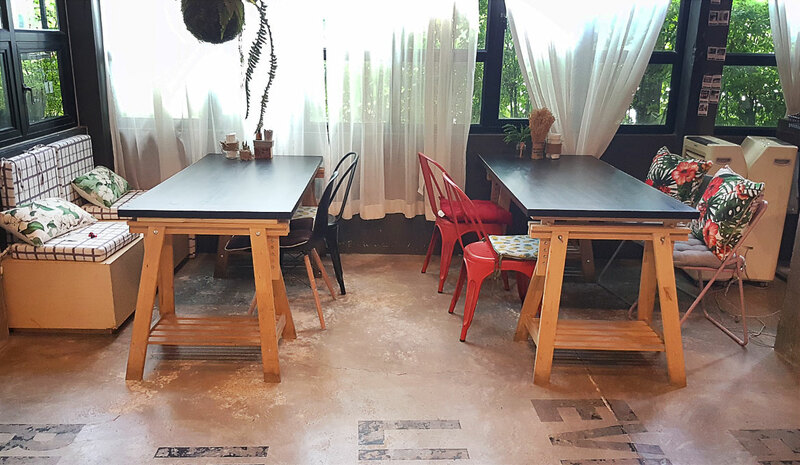 The inside area is quite large, perhaps having around 6-8 different size tables and really spacious (well spread apart and good size tables so your plates aren’t banging together). 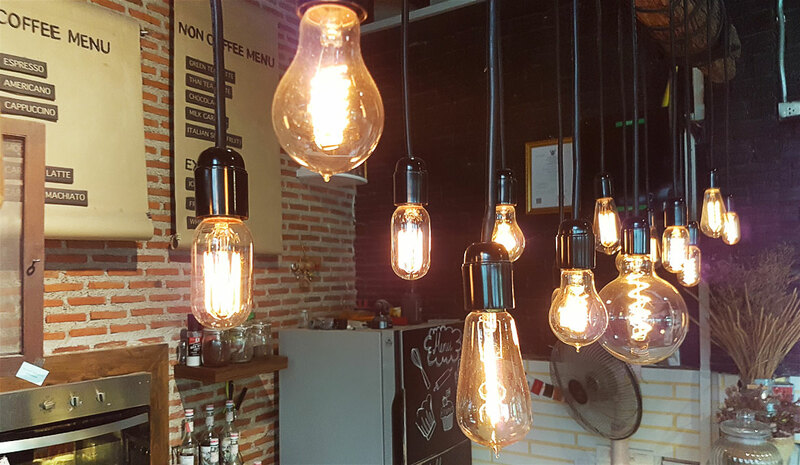 The lighting, tables, chairs, concrete type walls with writing over them…everything was what made this place…”IT”. It was unique, but yet so familiar and “homey” – probably the better word to describe this place. I needed to setup my laptop for a good 2-3 hours and this place felt like the perfect place for it. The large and open planned seating area gave me a clear head, and the concrete walls and rustic dim lamps/lighting gave me the relaxed and calm feel I needed. 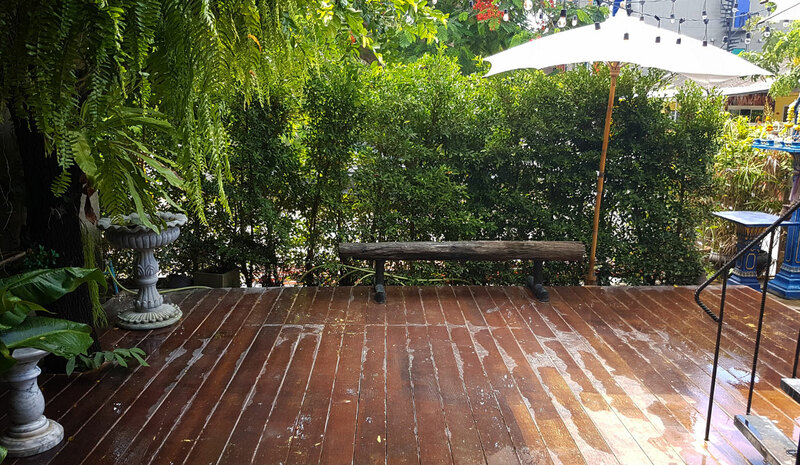 This place didn’t need to serve me good coffee, I was happy just to sit here and chill for a good 2-3 hours. 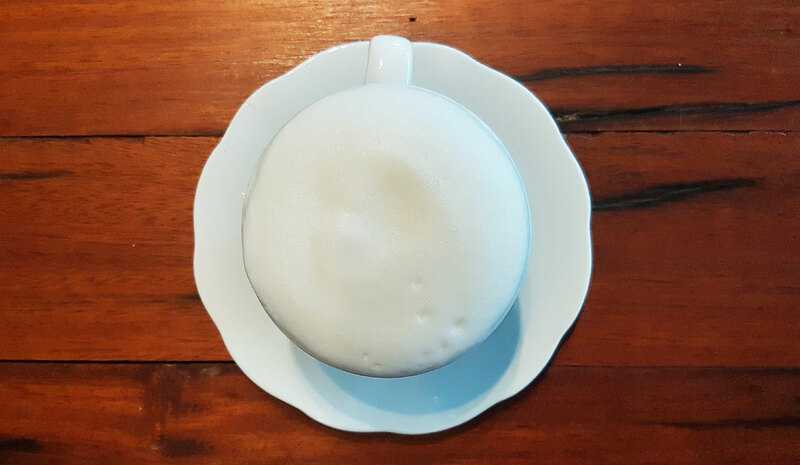 I ordered the cappuccino and took a seat at a four seater table – quite comfortable I might add – and good height difference between the seat and the table to use a notebook, but also to eat or drink. 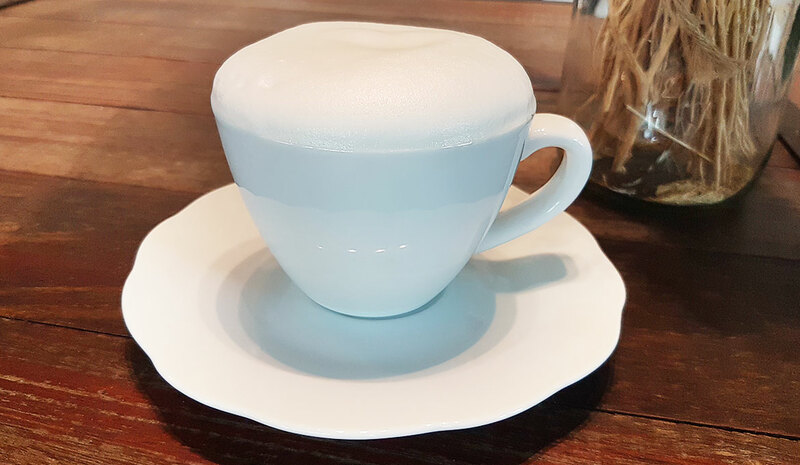 Within a minute or 2 they had my cappuccino ready and was ready to do the taste test. The presentation was pretty average, in face I was expecting the worst. 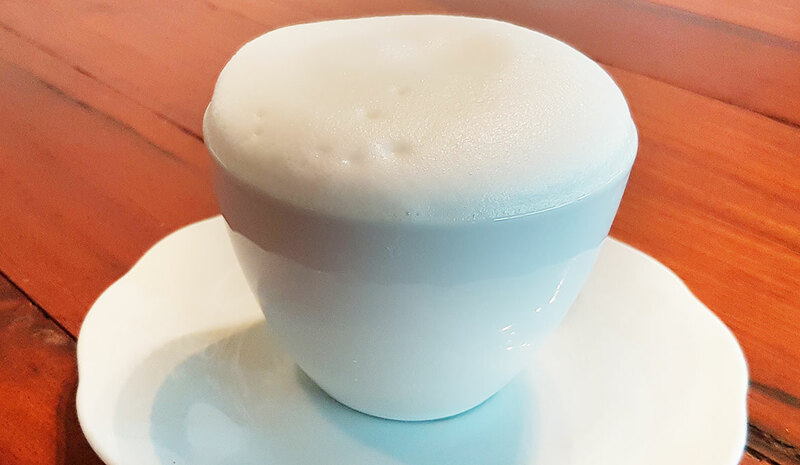 The typical SUPER white fluffy foam and probably a thick black Americano coffee sitting underneath…however the taste and quality overall was probably about a 3-3.5 star in my opinion – no Americano sitting underneath but quite a good strong latte/cappuccino just using regular commercial grade beans (and perhaps an unclean grinder) – definitely not a bad coffee, but not the worst. All in all I was happy because I was feeling so at home in this place and had VERY drinkable coffee – so I was set for the 2-3 hours and already knew I’ll be spending many more mornings/afternoons at this little gem! 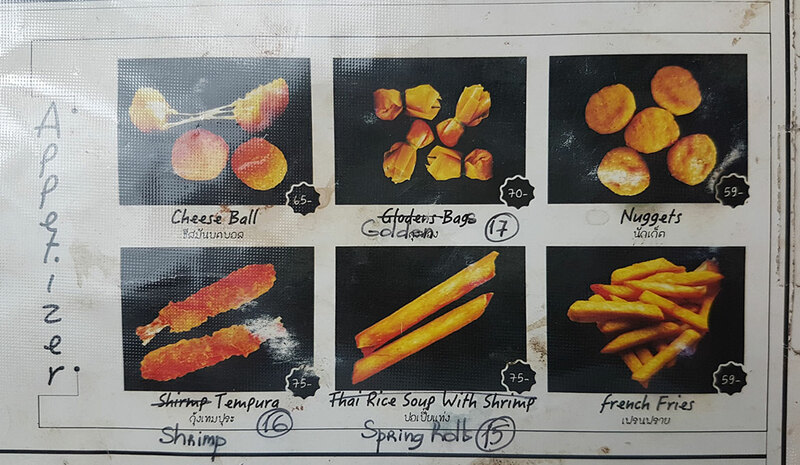 I didn’t try the food menu, well not yet anyway, however there were some inviting dishes on there. 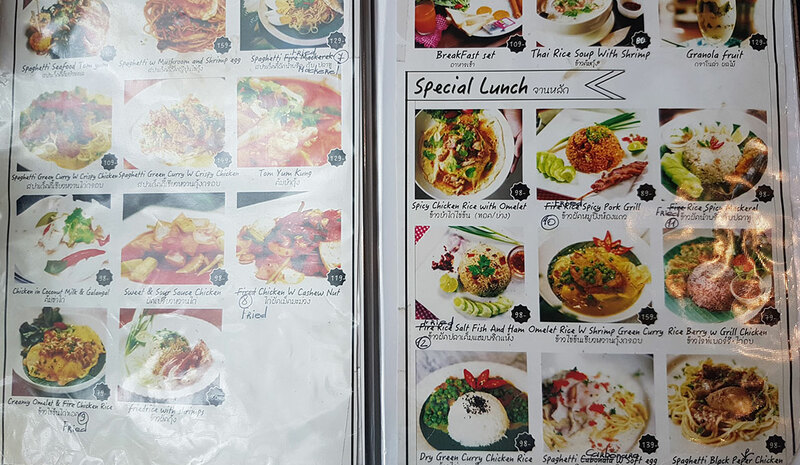 It’s a very “Thai” menu so expect to find the typical Thai desserts and Thai dishes on there. 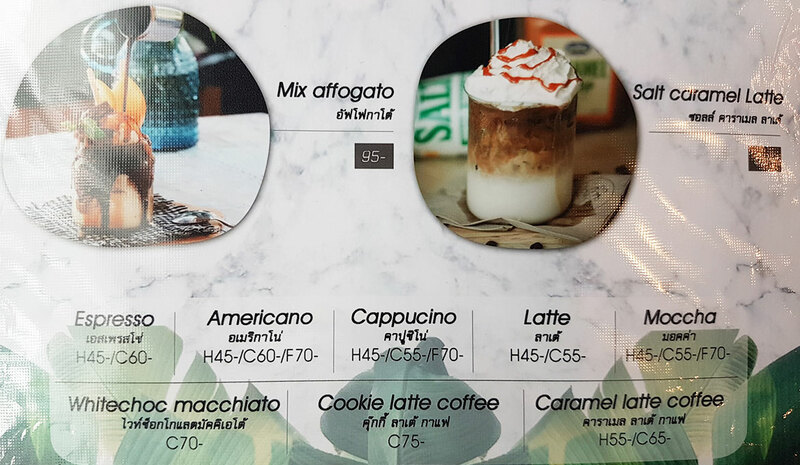 I actually like this because I love my Thai food (can’t get enough of it), however thought I should point this out if you’re looking for a western style breakfast / brunch. 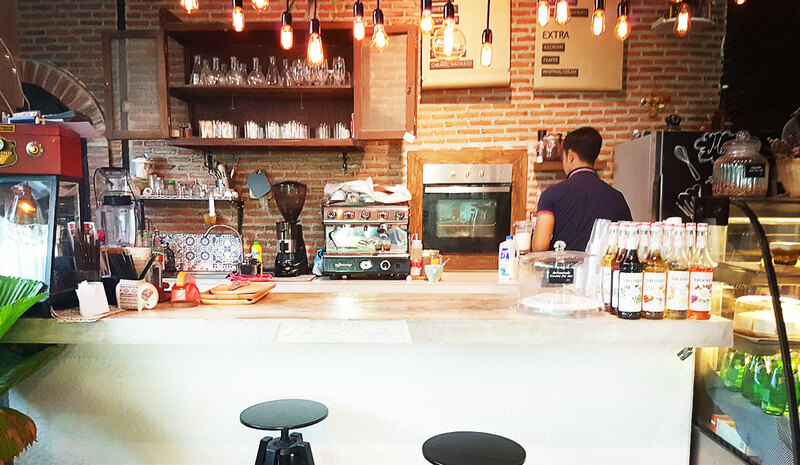 They do an eggs on toast breakfast set on the menu – but more Thai style. 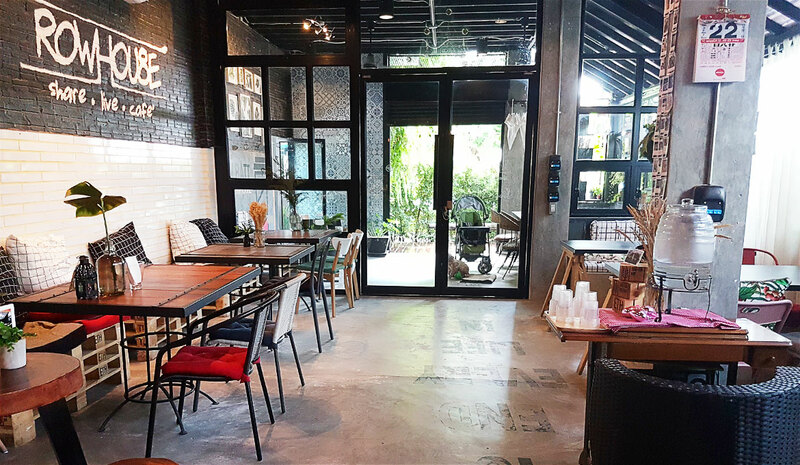 The entrance – the designer behind this place should be awarded something – so welcoming and homey! Yeah, I could live here! I might bring my pillow and book next time! The best way (fom Hua Hin city center) would be to take either the green bus towards Khao Takiab or Taxi to soi 106. 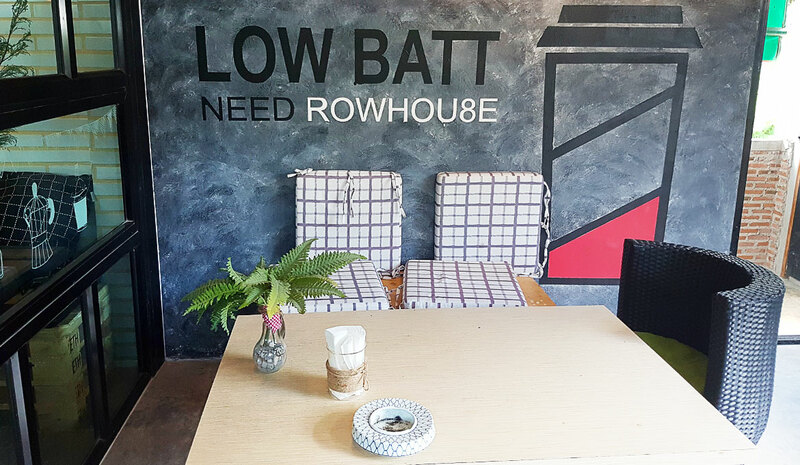 The cafe is about 50-100 meters on right once you turn onto soi 106 – so you could walk it from Phetkhasem road. Incredible! 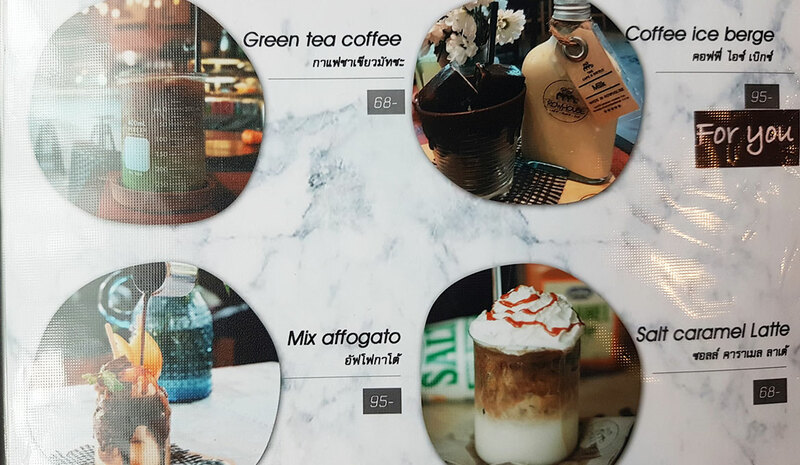 At 45 Baht for a coffee and around 100 baht for a thai meal – you cannot complain!